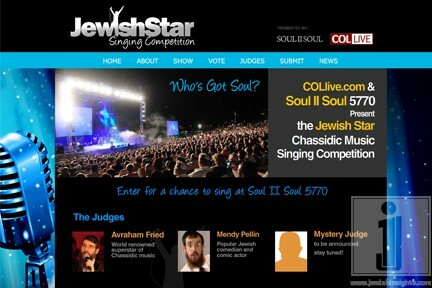 Nachum spoke with Shmuly Goldman on this morning’s JM in the AM about the upcoming Soul II Soul 5770 concert and the Jewish Star Singing Competition that will be going on in conjunction with it. The event will be taking place on March 7, 2010, but the last day to submit an entry into the competition is December 31, 2009. The two celebrity judges who will be deciding who gets to compete on the show are the legendary Avraham Fried and renowned comedian Mendy Pellin. Click the link to listen and find out all the details.